Last weekend in Chicago, a room full of children's and teen librarians erupted in cheers, gasps, and wild applause for the newest batch of books chosen for the Youth Media Awards, administered by the American Library Association's Association for Library Service to Children and Young Adult Library Services Association. This yearly event is often called "The Oscars for Children's Literature." You have most likely heard of the Caldecott and Newbery Awards, but have you heard of the Theodor Seuss Geisel Award? Or the Pura Belpre Award? Or the enormously popular and influential Coretta Scott King Awards? Here are the mose recent winners of these presigious awards. Click on the titles to find a copy at a Free Library of Philadelphia location near you. A complete listing of award winners, including young adult awards, can be found here. 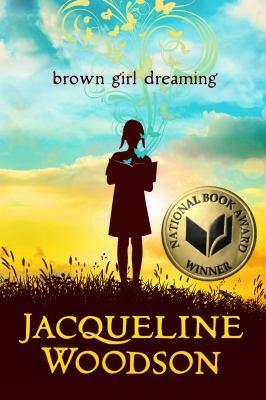 “Brown Girl Dreaming,” written by Jacqueline Woodson, is the King Author Book winner. “When I Was the Greatest,” written by Jason Reynolds, is the Steptoe winner. 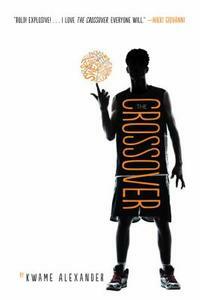 “The Crossover,” written by Kwame Alexander, is the 2015 Newbery Medal winner. The 2015 winner is Sharon M. Draper, author of more than 20 books, including: “Tears of a Tiger” (1994), “Forged by Fire” (1997), “Darkness Before Dawn” (2001), “Battle of Jericho” (2004), “Copper Sun” (2006), and “November Blues” (2007). “Viva Frida,” illustrated and written by Yuyi Morales, is the Belpré Illustrator Award winner. "I Lived on Butterfly Hill" is the 2015 Pura Belpré (Author) Award winner. The book is written by Marjorie Agosín, illustrated by Lee White. The Randolph Caldecott Medal is awarded annually , to the artist of the most distinguished American picture book for children. 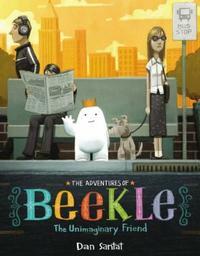 “The Adventures of Beekle: The Unimaginary Friend,” illustrated and written by Dan Santat, is the 2015 Caldecott Medal winner. “A Boy and a Jaguar” written by Alan Rabinowitz, illustrated by Catia Chien, wins the award for children ages 0 to 10. “Rain Reign” written by Ann M. Martin, is the winner of the middle-school (ages 11-13). “The Right Word: Roget and His Thesaurus,” written by Jen Bryant, is the Sibert Award winner. Stonewall Book Award - Mike Morgan & Larry Romans Children’s & Young Adult Literature Award is given annually to English-language works of exceptional merit for children or teens relating to the gay, lesbian, bisexual and transgender experience. "This Day in June,” written by Gayle E. Pitman, Ph.D., illustrated by Kristyna Litten is the 2015 Stonewall Book Award winner. “You Are (Not) Small,” written by Anna Kang and illustrated by Christopher Weyant, is the Geisel Award winner. Add a Comment to Caldecott, Newbery, Belpre, Oh My!